Sending threatening emails or messages through the Internet using instant messages or other means is a federal crime in the U.S. Statute 18 U.S.C. § 875(c) states: "Whoever transmits in interstate or foreign commerce any communication containing any threat to kidnap any person or any threat to injure the person of another, shall be fined under this title or imprisoned not more than five years, or both." Intent is beside the point -- the act of sending the threatening email is a punishable offense. Learn what to do if you receive emails that threaten you, your family or your property. Take email threats seriously. Senders can mentally unstable or under the influence of drugs or alcohol, or other unknown factors may be at play. It is better to take a threat seriously and have no outcome than to ignore it and find yourself in trouble later. Save all of the correspondence from the person (or people) making the threats. These can be used as evidence. Print out the emails, but do not clear the emails from your computer. To an IT specialist, the email itself can provide valuable information about the sender even if sent anonymously. They can determine sender's IP address and location, as well as other identifying information. The Internet offers some anonymity, but tracking technology is improving daily. Contact your local law enforcement agency, and provide them with copies of the emails and file an official report. Filing a police report will put your case on record, and in the event anything happens to you, your family or your property (such as arson or car theft), the police will have this information on file. Do not respond to the offender. In most cases, if you ignore him, he will just get bored and go away. Responding or engaging in email conversation gives the offender power and fuels his fire. Do not threaten him in return. Do not block his email address. You want to be able to receive the emails and keep them as evidence. Save the message and contact the security department of the site if threats come to you via a third-party site's internal messaging system, such as Facebook or Twitter. These types of messages can work in your favor since the third-party site will also be able to access them. Contact an attorney specializing in criminal law if the threats continue to escalate and you know who is making the threats. Contributor. "How to Handle Email Threats." 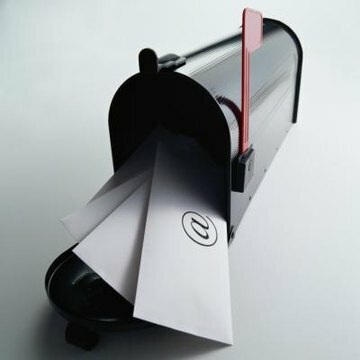 , https://legalbeagle.com/5061920-handle-email-threats.html. Accessed 18 April 2019.